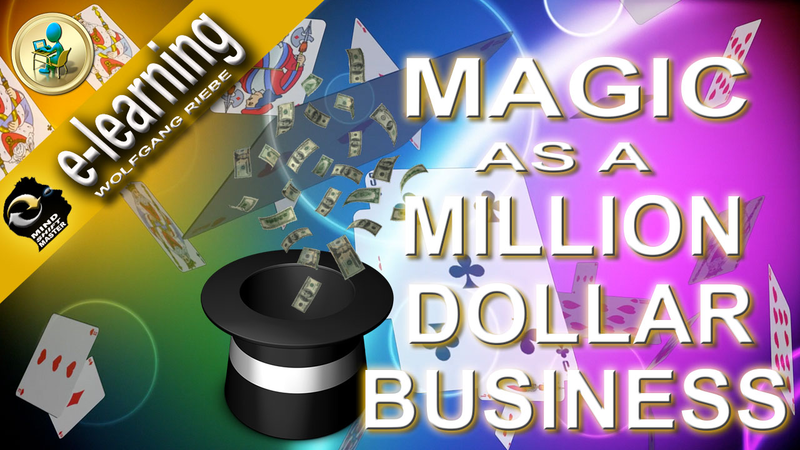 From whom would you like to learn the real secrets of success in the magic business? Someone who has a little theoretical knowledge and lives in one-bedroom apartment and claims to know it all? Or someone who started with nothing and today has the global hands-on experience, lives in the dream mansion, drives the big cars, walks the talk and has actually done it all? As a magician, you may not have heard of Wolfgang Riebe. Why? He never focused on the 'magic scene' - instead he focused on the 'layman out there' and building a mega career traveling the world on cruise liners, leading theaters, blue chip corporate companies and producing over 175 of his own TV shows. That's besides his 10 Million-plus views on his YouTube Channel! After starting his career in England, Wolfgang moved back to Cape Town in 1998 where he became the MOST SUCCESSFUL magician in the history of the entire African continent! 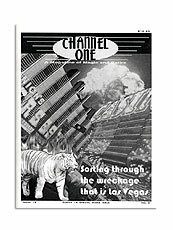 His career began in the 80's and there are few 'Magigram' magazines that don't have an article by Wolfgang in it. Do you know any other magicians that have performed in over 150 countries? But it hasn't stopped there! Today he shares his success story as an inspirational speaker, still traveling the world, and has risen to the top of this profession, too. Here's your chance to learn the business side of this profession, up close, from one of the world's most successful magicians! Wolfgang will share practical tips that can change your career forever! Tips that others don't want to share, as they want to protect their turf. Wolfgang has enjoyed over 30 years of passion and pleasure performing and speaking. A few years ago, he started writing books and producing videos to leave a legacy and help new generations benefit from many of his original ideas. Today he can look back and smile as he reminisces over a magical life. He doesn't need to prove anything to anyone anymore. Hence, he decided to share this vast knowledge with magicians who seriously want to rock the world with what they do in order to give them a head start. This course can change your life as a magician/business person. No false promises are made here. Real, tried-and-tested business secrets of being a successful magician will be shared. However, knowing the secrets won't guarantee success. It's like knowing the secret of a trick - some magicians create miracles and become famous - others just don't seem to hack it. You need to realize right now that passion and talent is not enough! Above anything else, you need to have the ability to be honest with yourself in order to identify your USP (Unique Selling Proposition) or at least honest enough to start the journey of discovery as to what your USP is. Only then will this course be of real benefit. Topics include: Keeping it Real, Identify your USP, Improving Your Technique, Enhancing Your Shows, Effective Visual Aids, Know your Audience, Behavior Towards clients, Overcoming Stage Fright, Surviving Dying, General Tips, Grooming Tips, Openings, Opening Lines, When Things go Wrong, Working the Crowd, On Yourself, Jokes Going Bad, No Applause, Thunderous Applause, Closing Lines, Traveling and Flights, Publishing Tips, Payments and Invoicing, Bureaus and Staff, Marketing Tips and Networking, Publicity, Internet Tips and Associations. All 21 lessons as downloadable MP3 files so that you can listen to them at your leisure, even while driving to a show! Plus, bonus eBook, The Complete Works: Wolfgang's original life contribution to magic - over 750 Pages!